Reablement, crisis response, home-based care, bed-based care… these are all terms that people who use services, their families and carers may not be familiar with. Well, they’re all types of intermediate care as it happens – but what does that even mean to the layperson? Luckily, Ewan King, Director of Business Development and Delivery at the Social Care Institute for Excellence returns to the Social Care News blog to shed some light on these terms and promote an excellent new guide created in collaboration with the National Institute for Health and Care Excellence (NICE). Intermediate care services help people recover from illness and accidents, giving them the support and encouragement they need to live independently at home for longer. 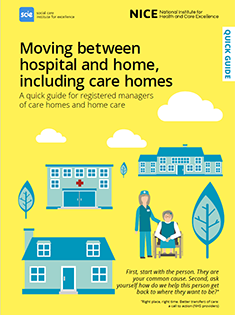 A new quick guide from NICE and SCIE is aimed directly at people who use services, along with their families and carers, so that everyone can understand what to expect from intermediate care and reablement services. 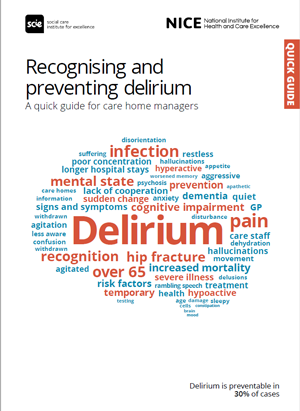 The five other quick guides in the series – from ‘recognising and preventing delirium’ to ‘improving oral health’ - are mainly for professionals, so this one is a bit of a departure. But SCIE and NICE think it’s important for people to understand what to expect – including the likelihood that they’ll see a number of professionals involved in their care. Intermediate care services are usually provided by a mix of health and social care professionals with a range of different skills. The team might include nurses, social workers, doctors and a range of therapists. In addition, occupational therapists may help people to work out how to manage everyday activities more easily and independently; physiotherapists to improve movement and physical activity; and speech and language therapists to help with communication, or with eating, drinking and swallowing. Essentially, it’s about helping people to practice doing things on their own. There should be an assessment by a professional that takes into account people’s abilities, needs and wishes. It’s important that the person receiving services is involved in decisions about their intermediate care. This can include consultation with their family if they wish. So, discussions might be about what setting the care will be provided in and whether access to an advocate, acting on someone’s behalf, would be a possibility. This needs to begin quickly. This could mean providing care within a few hours as part of a crisis response, or in a few days for other settings. It’s important to be clear about the service provided and what it will involve. It’s a great idea to look at the goals that people are hoping to achieve; these can be agreed with the person and family members. There should be support from a range of people, including therapists, to help people towards their goals. The service may take longer or shorter than originally planned, depending on the progress made. It’s also vital that all of this is written down in a way that makes sense to the person and their families. 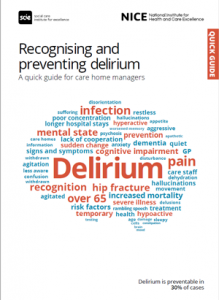 This could include an ‘intermediate care diary’. It’s vital that a plan is in place to transfer to another service if ongoing support is needed. This should include providing information on other types of support available but also information about how to refer back to the intermediate service, if people need to. Quick guides, developed jointly by NICE and SCIE are based on NICE guidelines and quality standards. 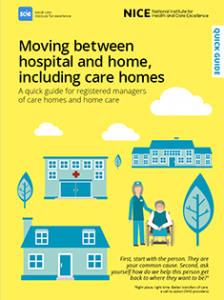 They cover key points on social care topics that are relevant to specific audiences. 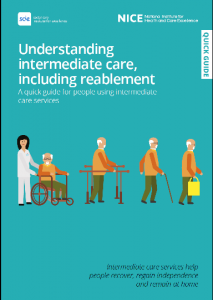 The quick guide to intermediate care is available online and also as a PDF, which can be printed and shared with people with intermediate care needs. We hope it provides a practical way of accessing these services so that more lives can be improved as quickly as possible. As a representative of the National Association of Care & Support Workers I would like to point out that we are often intimately involved in intermediate care, both in care home and home settings. When people are discharged from the hospital we are often the ones working the most hours to provide care and support to them. That may involve, but is not limited to, personal care, emotional support, physiotherapy exercises, arranging and attending appointments, medication management and wound care. I would greatly appreciate if we could be consulted on adding this information to your fact sheets and guides. As the only independent representative of care and support workers, we aim to broaden the public perception of the work we do and the skill that it takes. 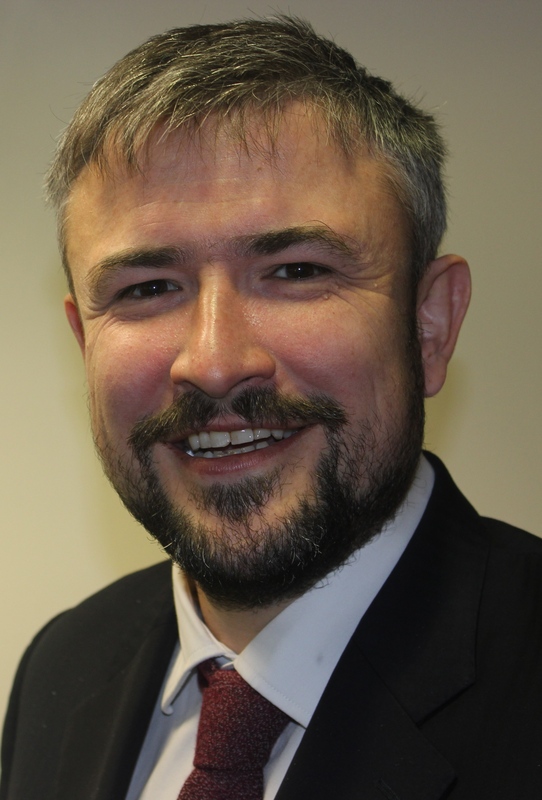 It is nonsense to write about intermediate care now: social care which should be a key element in its provision is in total chaos nationally largely as a consequence of extreme under funding by a Government which, in practice, completely fails to recognise its enormous potential to contribute to the population's health and welfare. A great idea but reality is that it is not happening here in Norfolk. Reality is that my Mother was mainly self caring and mobile when she went into hospital with a chest infection but lost her Home Care Support Package and finished up an inpatient for nearly 9 weeks, had it not been for me getting her out of bed, taking her to the toilet, hospital cafe daily she would probably have died malnourished, dehydrated and totally bedridden if I had not ignored the experts. She is now in a Home STILL waiting for a Home Support Plan, And I am still having to do much of the Care as the Staff do not have time to reable her.